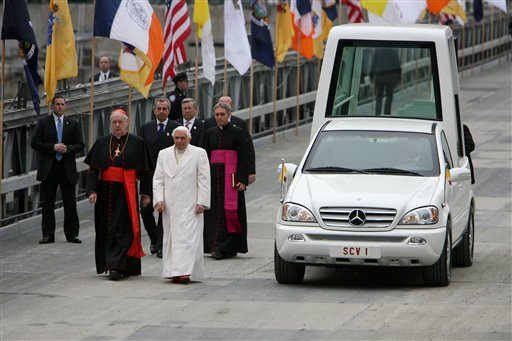 NEW YORK (WABC) -- The arrival of Pope Francis marks the fifth time a pope has paid a visit to New York City. 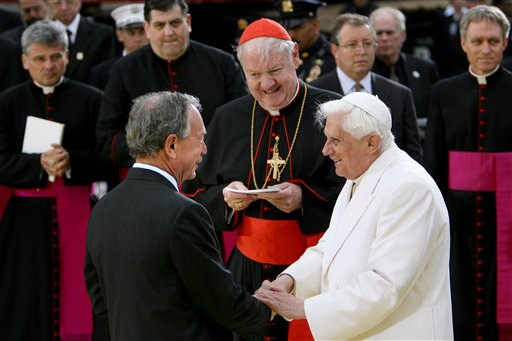 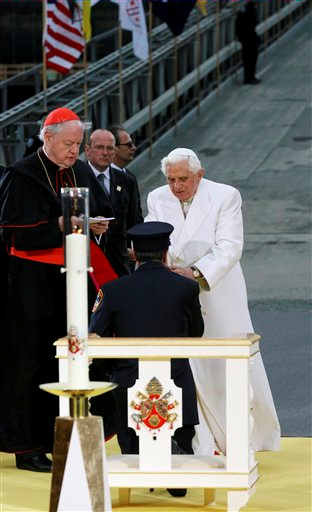 Pope Benedict XVI arrived in 2008 and addressed the United Nations. 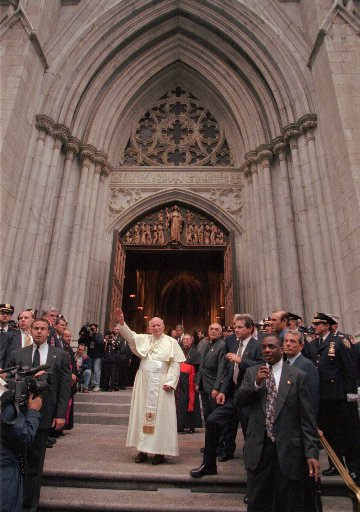 He later visited St. Joseph's Parish on the Upper East Side in Yorkville, and then became the first pope to visit ground zero. 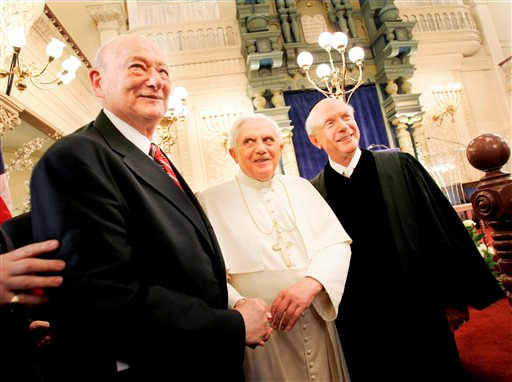 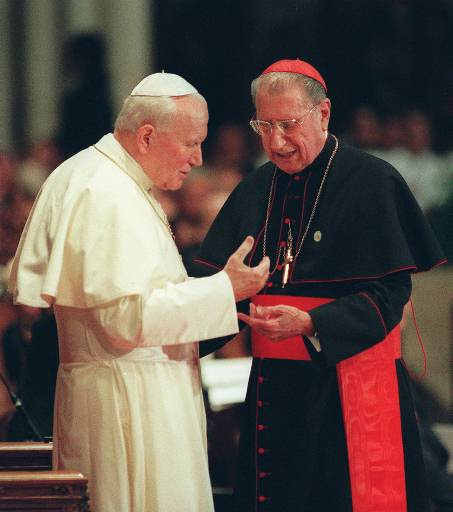 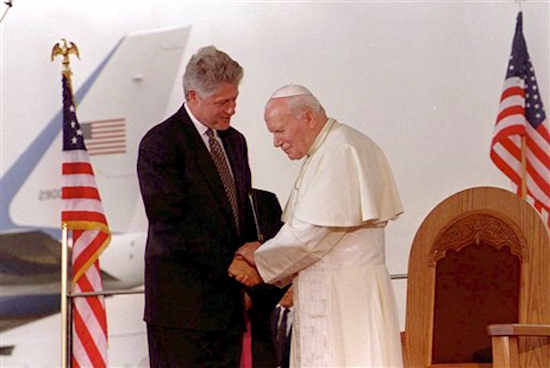 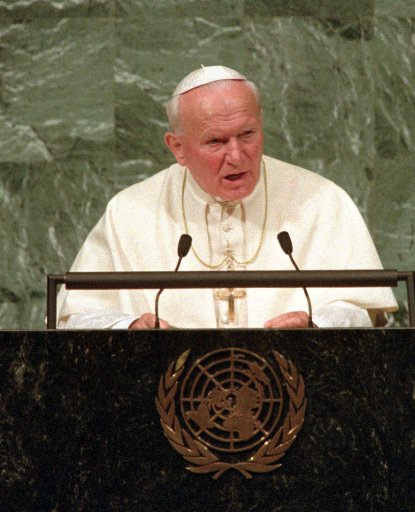 In 1995, Pope John Paul II celebrated Mass at Giants Stadium and the Aqueduct Race Track, addressed the General Assembly of the United Nations, and visited St. Joseph's Seminary in Dunwoodie. 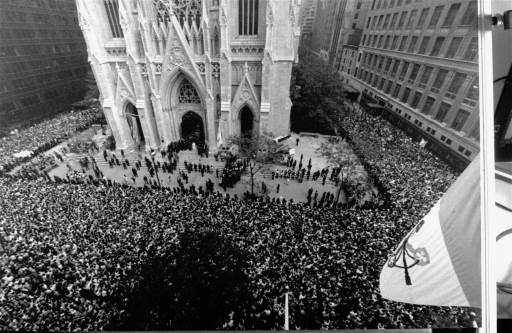 There was also a Mass before 125,000 people in Central Park, in which he spoke English and Spanish. 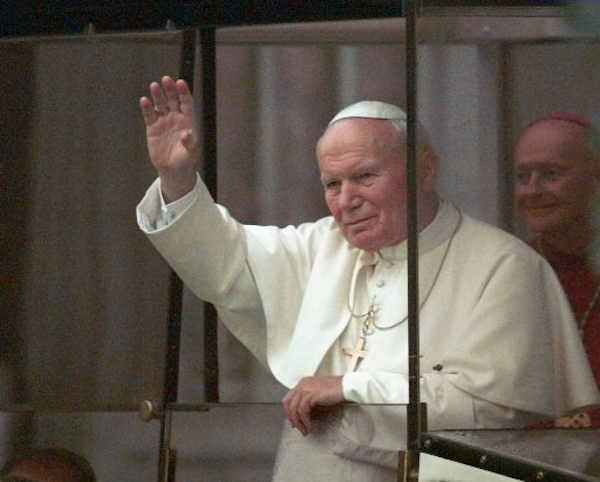 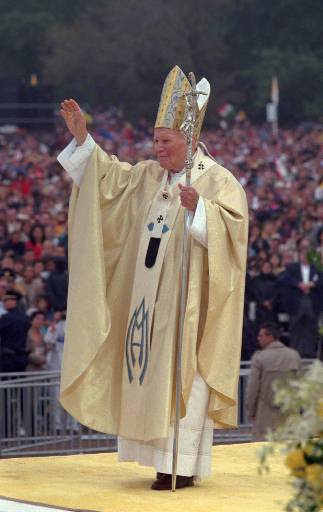 Pope John Paul II waves at the end of Mass at Central Park in New York. 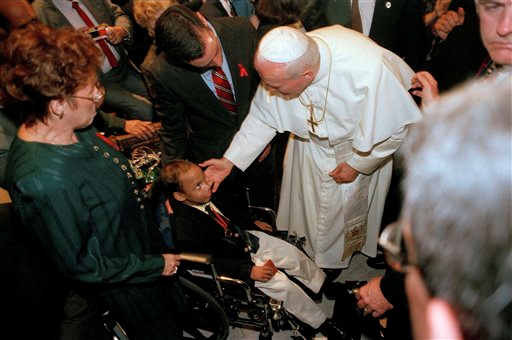 Pope John Paul II, blesses wheel-chair bound Steven Norton, 9, who suffers from AIDS, as he walks down the aisle of St. Patrick's Cathedral. 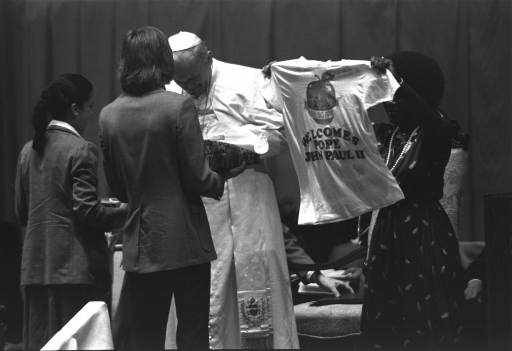 Norton is accompanied by his adoptive mother Patricia Norton, left, and family friend Jeff Conway, who also suffers from AIDS. 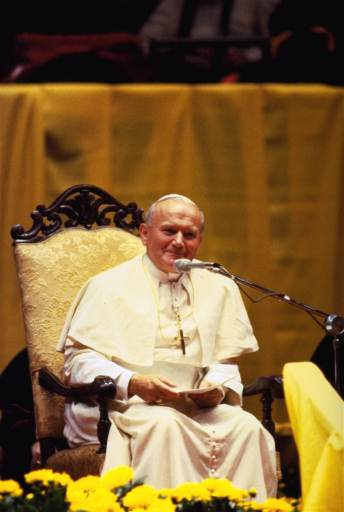 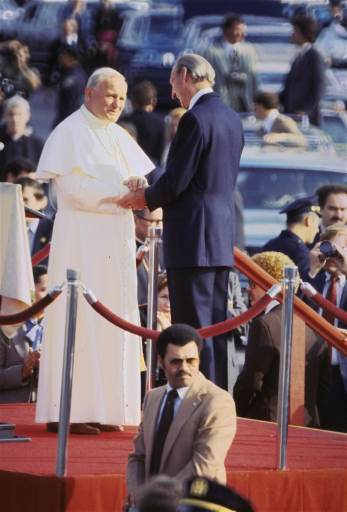 In his first New York visit in 1979, Pope John Paul II visited St. Charles Borromeo Church of Harlem, held a prayer service at St. Patrick's Cathedral, and attended a youth rally at Madison Square Garden. 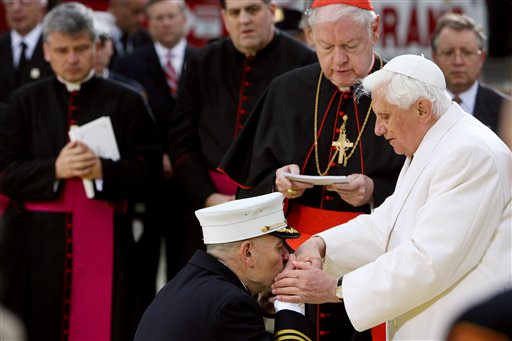 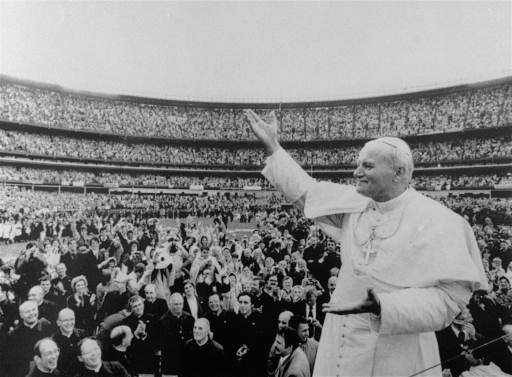 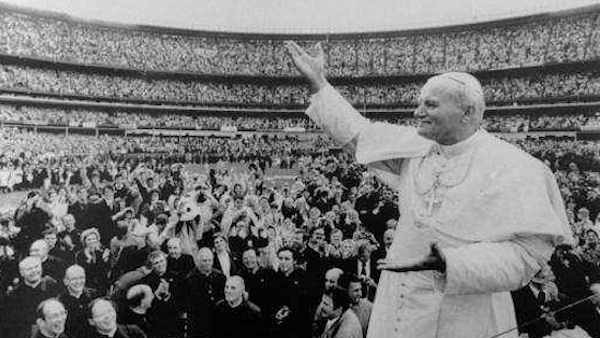 He also held a Mass for 80,000 people at Yankee Stadium. 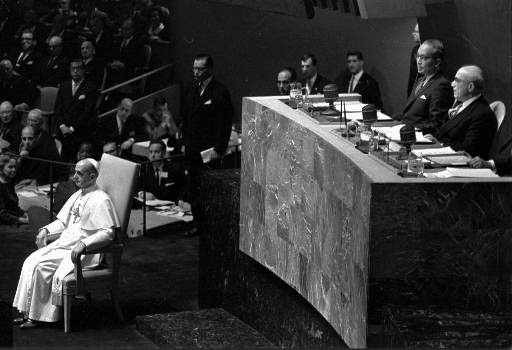 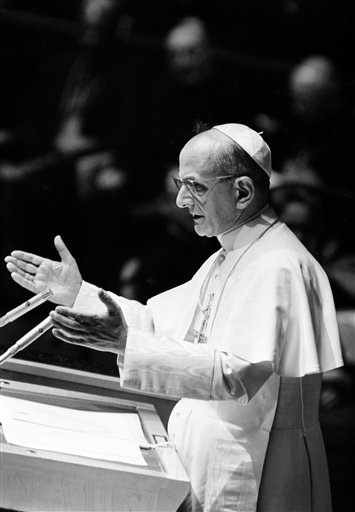 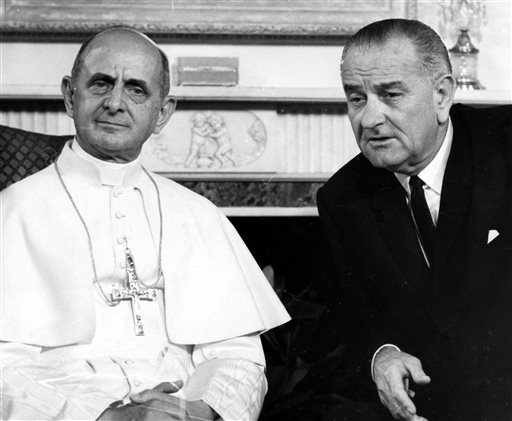 In 1965, Pope Paul VI became the first pope to visit the United States. 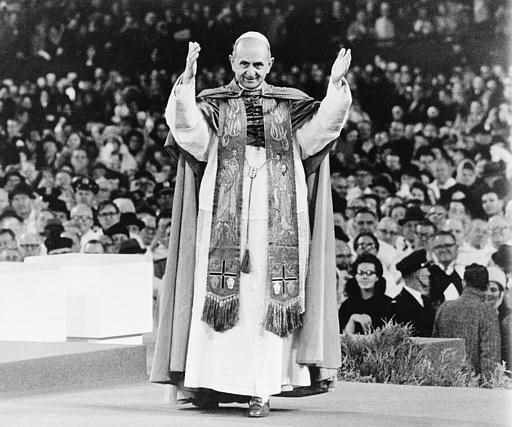 He prayed at St. Patrick's Cathedral, visited the United Nations General Assembly and the Vatican exhibit at the New York World's Fair before celebrating Mass at Yankee Stadium.